For many of us, a car is necessary. The car is what allows us to go from point A to point B, which is especially important if point B happens to be work. Without a car, it can be difficult to make a living. Plus, cars come with a certain amount of convenience when you run errands or go on a family vacation. Because of its convenience, buying a car is often considered one of the most important things that we do in our financial lives, even if the car ends up being more of a financial liability than an asset. The main question many people ask as they try to figure out how to get a car is this one: How much car can I afford? If you want to get a car that you can afford, you need to first consider your own financial situation. How much car you can afford depends entirely on how comfortable you are with payments, and how long you want to have a loan. For those who don’t want to borrow for a car, the answer to the question “How much car can I afford?” is the amount of cash you have saved up to make your purchase. If you don’t borrow, and you have $8,000 saved up for a car, that’s how much car you can afford. It’s pretty straightforward. However, many of us decide to finance our car purchases. This is where the situation gets a little trickier. You have to consider the total cost of the car, and you have to break that cost down into monthly payments. Remember that the total cost of the car is about more than just the principal plus interest you pay each month. It also includes maintenance and repairs, as well as insurance costs. 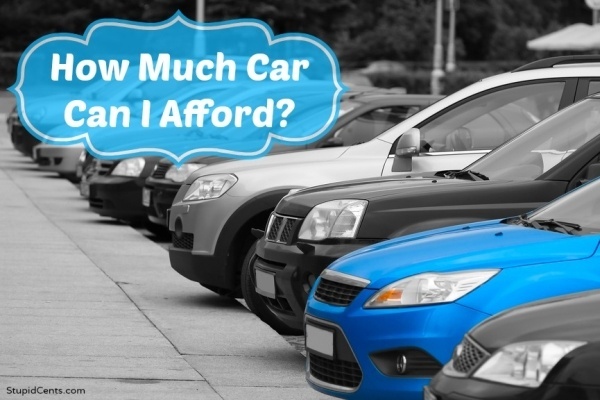 When looking for an affordable car, it’s important to weigh all of these factors. How long do you want the loan? The longer the loan, the lower the monthly payment. However, you’ll be in debt longer, and you will ultimately pay more in interest charges. If you have a shorter loan term, your monthly payments will be higher, but you’ll save on interest, and be able to use that money for other purposes, like investing and earning interest (instead of paying it). One way to go about determining how much you can afford to pay monthly is to think of your car payment as part of your 28/36 qualifying ratio. This is what some lenders use to determine whether you can afford mortgage debt. Pay attention to the 36 section. This basically means that no more than 36% of your monthly income can go toward all your debt. Let’s say you make $45,000 a year, or $3,750 a month. If you took 36% of this amount, your total debt payments should be no more than $1,350 a month. Let’s say you have a mortgage payment of $800, and your credit card payments total $250. You also have a student loan payment of $100. That brings your debt payment total to $1,150. That means that you can “afford” a car payment of $200 a month. In the end, though, you have to decide what you are comfortable with, and how you could handle the overall situation if you were to experience a financial difficulty. The funny thing is you probably can’t go a day without seeing someone driving a car which the payment is costing them half their take home pay. I would rather have an awesome home than a super nice car.